This past weekend I found myself on a mini vacation to the music-loving city of Nashville,Tennessee to see the Nick Cave exhibit at the Frist Museum, enjoy some BBQ in a honky tonk, spend time with some of my family, but mainly to attend a rap show. 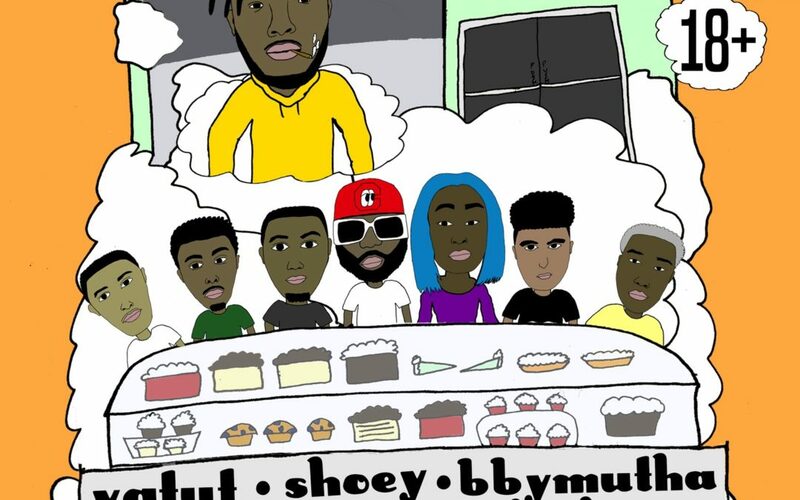 That rap show was Bakesale 2, a showcase of the hottest up and coming hip hop talent from Chattanooga TN, headlined by my homie YGTUT. After having diner in a glitzy two story country music bar on Nashville’s historic Broadway street, I began to maneuver through Nashville’s thick as biscuit batter traffic. I arrived at the small venue called The End that is tucked away in a strip mall space behind a pizza shop, in a lightly grimy hippy/hipster neighborhood. The inside features standing room about the size of my living room with a stage up front and sitting room about half the size to the right. A bar was in the back. A ghost eyed bouncer with a wispy goatee stood by the bathrooms which were covered floor to ceiling in band stickers. Merch table by the door. The show started with a brief DJ set from $hoey. I was extremely impressed by all the DJing that I witnessed during the show. The song selection was a perfect blend of hype and underground grit. The cuts and scratches were on point, and the transitions were immaculate. During the rapping performances there were a few times where $hoey would cut the instrumental out and let the MC rap a capella. $hoey would then lay the first beat of the next instrumental under the flow with surgeon like precision and the improvisational prowess reminiscent of any fine jazz musician. The first act was Uzi Boys. I had never heard of them before the show, but they did a good job of hyping up the crowd and their music seemed to be the kind of lean soaked rambunctious trap that tends to dominate Soundcloud for the time being. I found what I heard to be energetic yet derivative, but all the kids in the front row knew all the words and seemed to be going rabid as if they had been overtaken by a Xanax Fueled Holy Ghost. By the end of the Uzi Boys’ set, I found myself trying to pull myself to the railing on the side of the seating area to escape the mosh pit and the possibility of losing my glasses. Swerzie who seems to be the lead member of Uzi Boys then performed some of his solo tracks while still being backed by the majority of the Uzi Boys. His solo material seemed to be mostly in the same vein as that which he performed with his cohorts. But, the hook for the track “Dancing on my Glock” was so bombastic and lyrically ridiculous that I couldn’t help but guffaw before I began to get the gist and rap along. The guest appearance by bbymutha was also a highlight. ChrisP. stepped on the stage with sauce. His outfit, his flow, his movement were all dripping with confidence and laid back swagger. I will admit I had been sleeping on this guy’s talent. Tracks like “Dipped in Gold” have me looking forward to this guy’s debut. He was soon joined by frequent Crown collaborator Brian Brown. The chemistry these two have as a rap duo is something genuine. The way Brown’s frenetic energy mixed with CrisP.’s cool charisma provided a balance to the duo in the same way that Andre 3000 and BigBoy mesh on Outkast records. Fans of Chance The Rapper would likely be a fan of Brian Brown’s delivery as well as his clever and conscious lyrics. 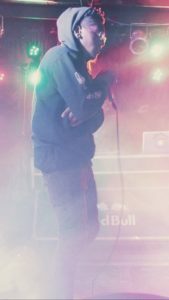 While Brown made full use of the stage for the majority of his set, he spent his last song spitting a capella at the center of the stage with the microphone attached to the stand – a really powerful moment which centered the audience’s attention on his flow and lyrical prowess. Bbymutha has been making waves online lately. Her delivery has the slickness of Bun B with the confidence and brutal femininity of Cardi B. I was super excited to see what her live performance would be like. She opened with her biggest song “Rules.” If you’re a fan of Gangsta Boo, you should definitely check out this track. The song transitioned into “Roses” which is a riding anthem with sweet and buttery southern production. Finally, the main artist I came to see, YGTUT was bound to take the stage. Photographers and videographers from the audience were urged to take the stage in order to document his entrance and performance. He emerged from back stage to “Live from Chattanooga”, the same cut from Preacher’s Son that he opened with at his show at King’s Bar in Conway for KHDX Hat Trick last year. It really is a fantastic opener, and the audience ate it up. Surprisingly, this was the only song from Preacher’s Son he performed that night. He followed it up with “2 Milli” – one of the oldest songs in his catalog. But, the track still managed to captivate the audience with its smooth jazzy instrumental as if it was brand new. 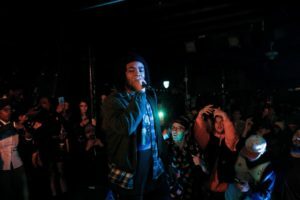 For the rest of his set, he played newer material including his newest single “$leezy Money.” The track had only been out for about three days at the time of the show, but the audience was rapping along to every word. The show ended with all of the acts sans Uzi Boys jumping on stage and just dancing to some of their favorite songs and enjoying themselves. As I was leaving the show, I began to think about why Atlanta has ruled commercial rap for such a long time. In Atlanta, there is a common sound that still leaves room for variation and a great deal of the artists seem to mess with each other. 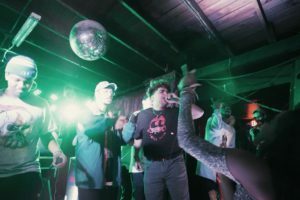 Similarly, the blossoming Chattanooga rap scene seems to have this same cohesion and camaraderie as well as the individuality. This makes me very eager to see what other rising stars have yet to make themselves known from this vibrant budding community.